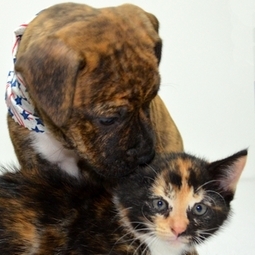 Wellness programs are offered to our puppies and kittens to better provide the best possible care to our new patients. Starting your puppy or kitten out correctly at the right age can greatly increase the health and happiness of your pet. During your wellness exams you will also have time to ask any questions you may have concerning the health and happiness of your puppy/kitten. Under our educational tab you will be able to find the exact protocol for all of our wellness programs.